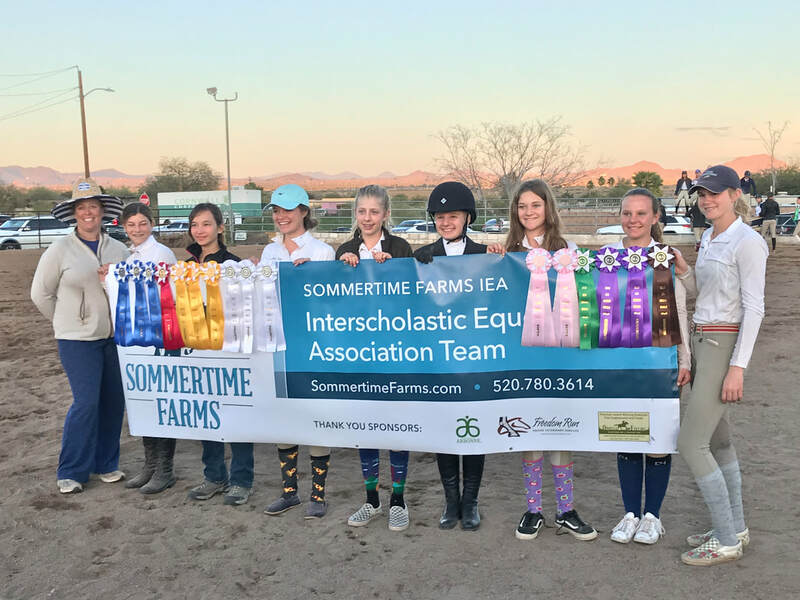 Sommertime Farms has established Tucson's first hunt seat Interscholastic Equestrian Association (IEA) team, and welcomes 6-12 grade students to join. The 2018-19 season is underway with a roster of 9 riders. The unique aspect of the competitions, both at the local and national level, is that none of the riders supply their own horses or tack. Instead, the host team arranges for the horses and equipment. Since the horse is new to the rider, the scores are based upon horsemanship and equitation. All disciplines offer a variety of ability levels from beginner through advanced. The IEA has set guidelines for the placement of new riders entering the IEA to allow for the unique program format of riding an unfamiliar horse. Read more at the IEA website. In addition to the friendships made while training and competing with riders of the same age, team members have the opportunity to earn scholarships toward their college education through awards in competition and through sportsmanship activities. The competition format also builds sportsmanship and confidence that stay with riders for a lifetime. Riders do NOT have to own a horse to be team members and compete, and they do NOT have to switch trainers or barns. They do have to be in a training program. At shows, the host team provides the horses, and at lessons trainer Sommer Anthony provides them. Beginners are welcome! Team members are expected to participate in approximately one group lesson per month and agree to participate in five out of the seven Region 8 shows per year (all held in the Phoenix area). Parents are expected to be at shows and volunteer at the show that the team hosts. Careful preparation is critical for both safety and success, so team members who miss more than two training lessons per season will be dropped from the team. 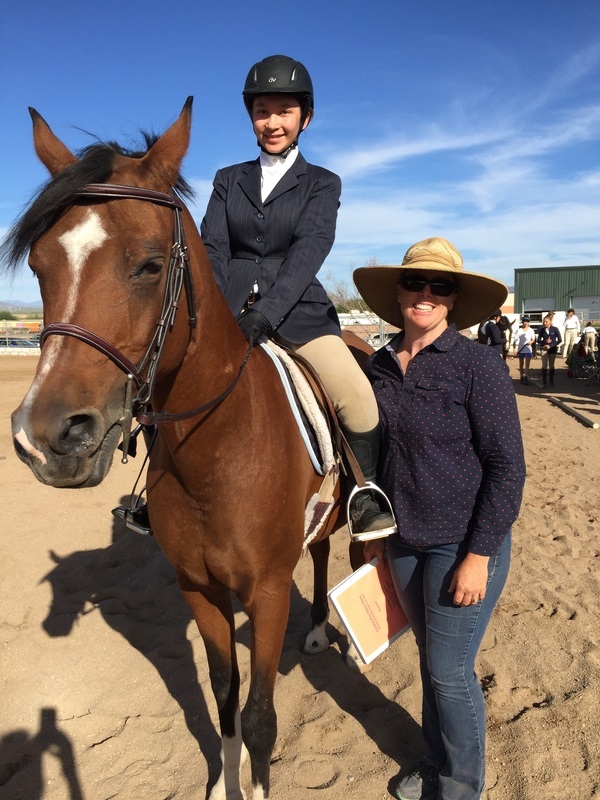 For more information about Tucson's only Interscholastic Equestrian Association team please call Sommer Anthony at 520-780-3614 or email. Congratulations to the High School and Middle School teams for qualifying for regionals! The Middle School team took champion at Regionals and is moving on to Zone Finals, March 2-3!